JONATHAN Mann, who resigned as head of the World Health Organisation's AIDS programme during Hiroshi Nakajima's first term as WHO director general, is now challenging Nakajima's re-election. Mann resigned after criticising Nakajima for his "personalised style of management" and for downgrading the organisation's AIDS programme. 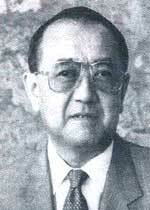 Nakajima's re-election campaign was fierce and marked by a Japanese drive that drew allegations of promises of aid to smaller countries, bribes for diplomats and threats to cut funding to WHO. The electioneering was so bruising many WHO officials have warned it would take time for the organisation to recover. After WHO's executive board voted 18-13 for Nakajima, his confirmation in May as director-general by the more than 170-nation World Health Assembly had appeared to be a mere formality. But Mann, writing in the International Herald Tribune, described the 64-year-old Nakajima's re-election as "profoundly disturbing" and criticised his failure "to articulate a clear global vision of health or to develop coherent responses to the world's major health problems." Mann also suggested that instead of simply confirming the executive board's vote, the World Health Assembly should require all declared candidates for the post to stage a public debate because this would air vital health issues and "break the web of secrecy" surrounding the filling of key UN posts. "It is wrong for the global public and global health to be held hostage to secrecy, silence and the spectre of power politics," Mann said.